The Nashville Scene recently published the map above, along with a short article about the persistence, and spread, of poverty in Nashville. The map comes from the 114-page “executive summary” of Metro’s Social Services Department’s annual report, and has a lot of very revealing information about “the it city.” Forget the hipster/country music glamour stereotypes–“it’s” about poverty. While about a quarter of our city’s residents have incomes of $100,000 a year or more, another quarter are living at or below the poverty line, with incomes of less than $25,000 a year, including yours truly. 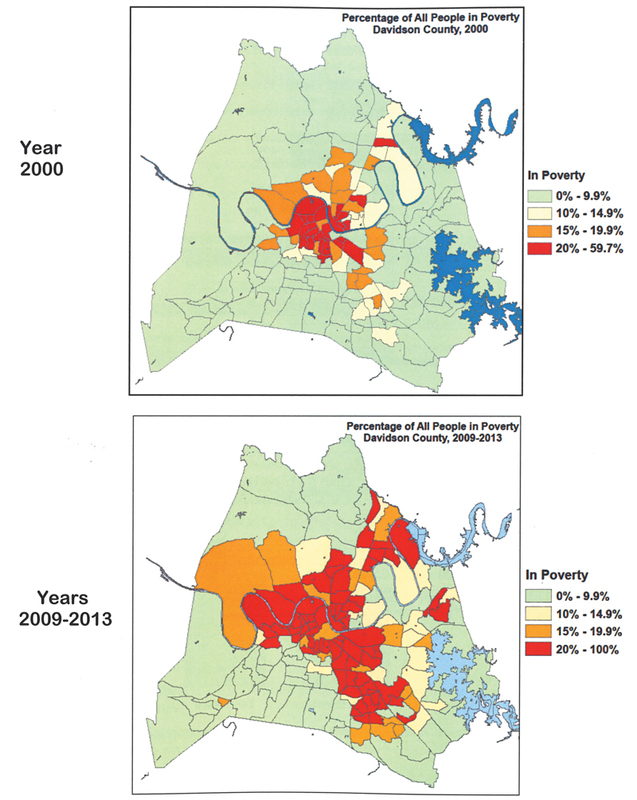 The maps show how poverty has spread in Nashville, moving into the suburbs. They are also a good springboard for a discussion of housing policy and zoning. Gentrification is a major issue in Nashville, often coupled with increased population density, as developers purchase small, older houses on large lots and replace them with structures, frequently duplexes or apartment buildings, that more nearly fill the lot. Although I think greater urban density is a good idea, I don’t think this is the way to go about it, for a variety of reasons. Some of these reasons are ecological, others are social, others are psychological. I have been writing this blog and doing this radio show now for nearly eight years. I have devoted about a quarter of my time to it every month, and many things around our homestead have not happened because I have been keeping faith with this blog, my radio program, and the Green Party of Tennessee. More on the Green Party in a little bit. My blog has had, according to WordPress, nearly 47,000 visitors in these eight years, but, on the other hand, my spam protector tells me that it has protected me from 36,000 spam posts, meaning, as I understand it, that only about a quarter of my readers are actually on site to read, with the balance–that’s fifteen out of an average of twenty a day–only here to peddle fake Viagra, knockoff watches and handbags, and other detritus of our consumer-driven culture. I don’t understand where the payoff for these people comes from. Nobody I know takes them seriously. It would certainly save a lot of human and electric energy, not to mention bandwidth, if such nonsense could be eliminated. But I digress, as I so often do. One thought leads to another, in an endless stream. Here’s the point. I have spent about as much time as I can trying to wake people and point out to them that the building is burning, and they/we need to either fight the fire or get out of the building, or both. 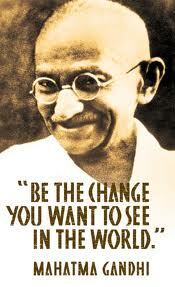 It’s time for me to quit talking about taking action, and actually take action myself. Not to follow my instincts on this would be co-dependent, I think. I have been there, and done that, and don’t care to dwell there any more.